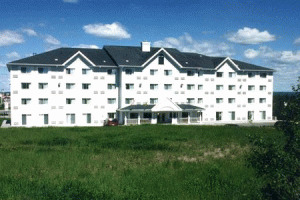 We offer comfortable, affordable accommodations in New Glasgow, Nova Scotia. Our 100% non-smoking New Glasgow hotel features convenient amenities, friendly service and a warm atmosphere certain to make guests feel at home. Our top-notch services and amenities, comfortable hotel rooms and convenient location make our hotel the number one choice for both business and leisure travelers in Pictou County. 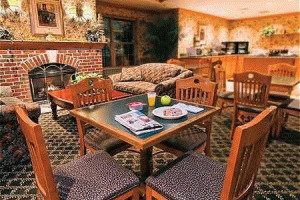 Guests enjoy an array of convenient services and amenities including complimentary wireless high-speed Internet access to DVD movie rentals (requiring a credit card deposit). Our hotel near downtown New Glasgow also features a Fitness Centre, complimentary weekday newspapers, coin laundry facilities and 24-hour complimentary cookies, candy, coffee and tea. Traveling with a furry friend? We are a pet-friendly New Glasgow hotel! Please visit Travelodge Suites New Glasgow Website.